OMG Wow: Shuttle Landing Caught on Video! This is one for the OMG Holy Crap files… a passenger on board an airplane waiting at JFK airport captured this incredible video this morning as the space shuttle Enterprise landed on the adjacent runway! Talk about a once-in-a-lifetime shot! As you may have heard, the space shuttle Discovery was flown to the Smithsonian’s Udvar-Hazy Museum last week, and took the space of Enterprise. 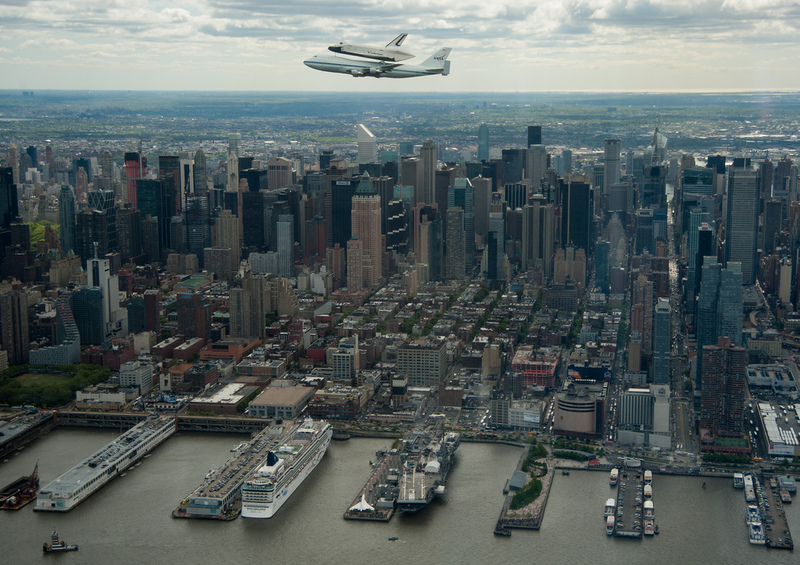 Enterprise was then put aboard the 747 that ferried Discovery and flown on April 27, 2012 to New York’s JFK airport. It will later be placed on a barge and transported up the Hudson to the Intrepid Sea, Air and Space Museum, where it will remain as a permanent exhibit, planned for opening on July 19. Next Post How Big Is The Solar System? Every time I see even a still photo of the shuttles on their final journies I feel so proud.